With the deepest sadness we have to inform the High-pressure Community that earlier this year Dr. Vladimir Shchennikov passed away. He was diagnosed cancer but until the last days he continued working. In 1974 Vladimir graduated from the Physics Department of the Urals State University in Sverdlovsk (now Yekaterinburg, Russia) and joined the Laboratory of Semiconductors and Semimetals of the Institute of Metal Physics of the Russian Academy of Sciences. 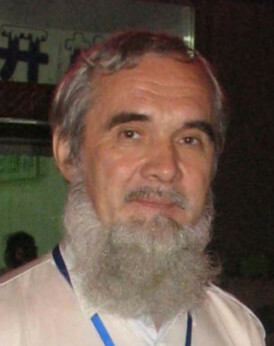 Vladimir was supposed to work in the semiconductor physics field in the framework of the existing research directions of the laboratory, managed by senior scientists. Instead of that, inspirited by the pioneer high-pressure works of Percy W. Bridgman he started designing miniature high-pressure cells with sintered diamond anvils for investigations of electronic transport properties under high pressures up to 30 GPa and beyond. In 1984 Vladimir obtained a PhD degree based on research work that has been mainly carried out on equipment made by himself. Eventually, he formed his own research High-Pressure Group, and then a Laboratory of Electronic Properties of Matter at High Pressures. Vladimir continued developing high-pressure cells, apparatuses and techniques throughout his life and published more than two tens of patens and author certificates of invention. One of his major developments was an "automated high-pressure setup" which presents a miniature multi-tonne press permitting measurements of physical properties of a sample with simultaneous control of applied force and sample contraction by means of a digital dynamometer with resistive-strain sensors and mechanotron device, respectively. This 'automated setup' found its primary application in investigations of thermoelectric properties of solids under high pressure which remain challenging to do in conventional diamond anvil cells. Materials of his interest covered but were not limited to silicon and binary semiconductors of the II-VI, IV-VI, III-V, and III-VI Groups and oxide systems. He also developed a technique of measurements of magneto-thermoelectric effects, such as longitudinal and transverse Nernst-Ettingshausen effects, under high pressures. He contributed more than 150 papers in Russian and reputed international journals. Vladimir was an exceptionally friendly person, good adviser, and excellent father. One of the bright sides of his personality was an ability to attract talented young people to the science. We will remember and miss him. His colleagues, friends and family.